If you were anything like me last weekend, then you might have been swept up in all of the sports action with either the Formula 1 race, or perhaps even the UT home game (which I won&apos;t speak of). 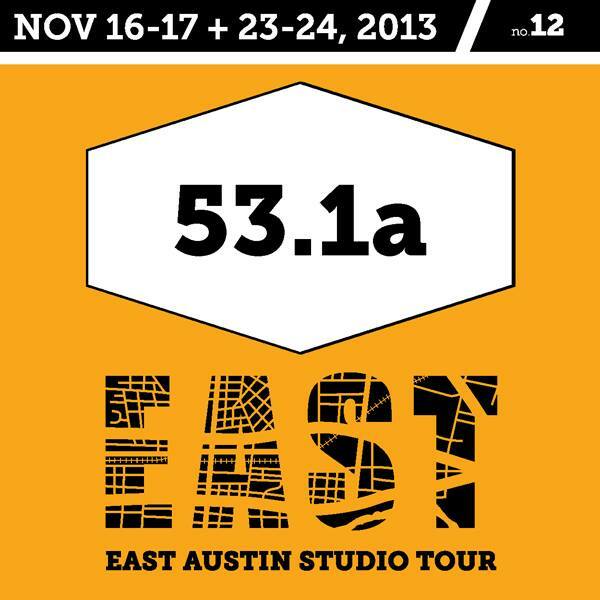 The one thing that I didn&apos;t have enough time to enjoy was the East Austin Studio Tour, now in its 12th year. But fear not, there is one more weekend left and I assure you that you won&apos;t be disappointed with the selection of art that is showcased throughout East Austin. The wonderfully unique quality of this tour is that you have the opportunity to observe the "creative class" in their natural habitats. So not only can you experience the art, you have the chance to check out where the magic happens. It really is fascinating insight into how all of the artists operate and perhaps even where they gain their inspiration. Artpost Austin 4704 East Cesar Chavez - E.A.S.T. #157 - This place houses more than 30 artists - ranging from sculpture, paintings, print making and one of my personal favorites jewelry! Check out the studios and wonderful work of Jodi Rae Designs. She features both men&apos;s and women&apos;s jewelry and I dare you to not buy something! Big Medium 5035 Bolm Road - E.A.S.T. #9-12 - A gallery that never disappoints, many of the folks involved with this location are the creative minds behind the inception of EAST. One of my personal favorites here is Joseph Phillips. He has received a great deal of attention lately... go check him out and you&apos;ll see why. Pump Project 702 Shady Lane - E.A.S.T. #53.1-53.2 - This location is inviting, creative and "Austin-unique." You will definitely learn more about the heart and soul of what the entire tour is about within minutes of your visit to this gallery space. This event will feature limited glassware for $25 at the door plus free local beer from East Austin restaurant Mettle. All proceeds will go toward supporting Big Medium.